Effortless Authentic Moments – Make Travel Fun! Colorful, exotic Puglia is a beguiling and stimulating place, with its own distinctive food, architecture and atmosphere. Its landscapes have an appealingly elemental quality – stark rocks meeting clean beaches lapped by crystal-clear water; gigantic olive trees spiraling up from dark red soil fringed by vivid wildflowers; fragrant pine forests opening onto chalk-white sands. Nature’s colors are bold in Puglia, and man-made shapes are simple – with chunky, cubic houses and conical-roofed cottages dotting the countryside. Its extensive coastline bears the marks of many conquering invaders: the Normans, the Spanish, the Turks, the Swabians and the Greeks. Yet, despite its diverse influences, Puglia has its own distinct and authentic identity. Sun and sea, food, wine and quality of life – explore this diverse and captivating region with Viva Italy Tours, LLC September 2019! Venice, Italy in September is the very best time to visit. The weather is perfect and the summer crowds are gone. Midweek is another plus because the mega cruise ships are out to sea. The beauty of spending a few days in Venice with a small group and a guide is that you will be able to immerse yourselves into the culture and history without losing a lot of time trying to figure out where you are. You’ll be able to savor all the sights, sounds and flavors! During this 3 day mini tour, you will see all the highlights as well as experience life through the eyes of its locals. We’ll also be visiting the islands of Murano, and Burano in the gorgeous lagoon of Venice which was the birthplace of Venice! 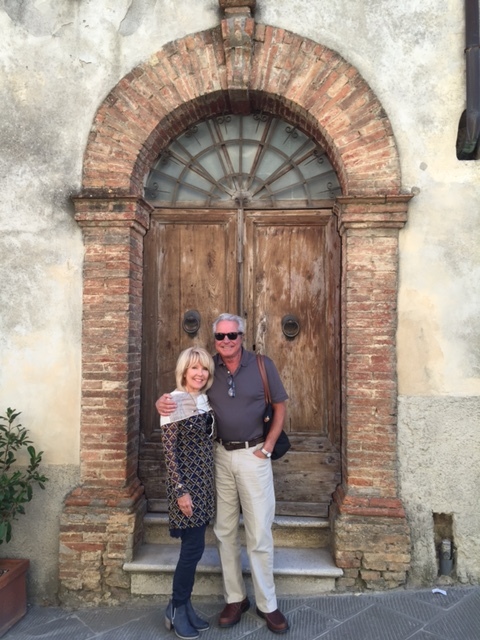 7 Night "Splendors of Tuscany"
Spend a week in Tuscany with a Tuscan family. Stay in 4-star 12th century monastery. Enjoy the local food, wine, art, architecture, and culture. Daily excursions, sightseeing and more. Travel with our executive chef to markets, learn Italian cooking secrets, and savor the region’s most beautiful gardens, vineyards and hilltop towns. Meet Italy’s most famous butcher while dining in his private dining room.